Much has happened since my last post, the most significant being that last year we finalized the adoption of two wonderful, beautiful children. Life has changed in many ways! Overall, it is for the better. They’ve made our home such a different place, and added much joy and excitement to it. You can read more about it here. This year has been a pretty busy year so far too. We’ve done a few things around the house to improve it, probably the most visible being that we revamped the flower beds at the front of the house. 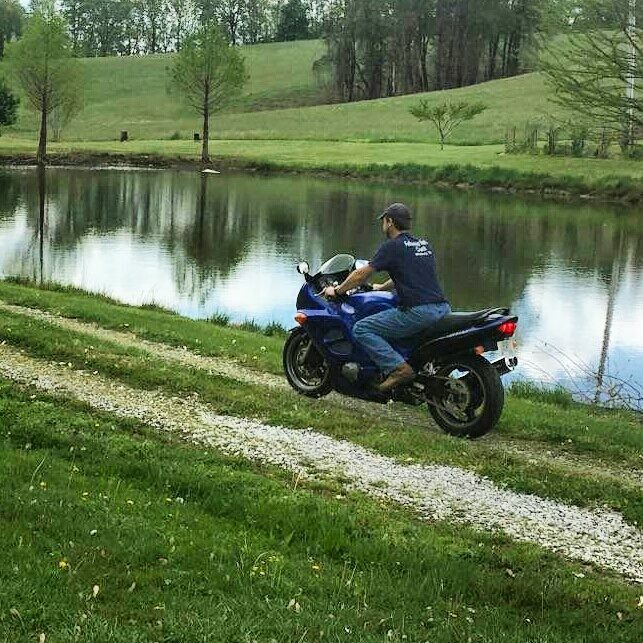 But what I’m most excited about right now I think is that I’ve been working on getting my motorcycle running again. I’ve put on a new chain and sprocket, replaced the oil, replaced the gas tank (and had to repaint the one I bought because the color didn’t match), put on new tires, and replaced the battery. It runs now, but I think only on a couple of cylinders. I need to check out the carbs and spark plugs, and fix a small oil leak and I think it’ll be basically ready to go. It’s always been fun to ride, and now it is sort of becoming a need. We have 2 cars, but one is pretty unreliable. If I can get the bike going, it will be one more thing that we can depend on so that if I’m gone, Becky will have a vehicle for her and the kids if anything comes up.